Head North on Highway 84/285. Continue 15 miles to Highway 503 East. Turn right and continue 7.7 miles to CR 98. Turn left at the sign for The Santuario and Rancho de Chimayo and continue 3.6 miles to State Highway 76. 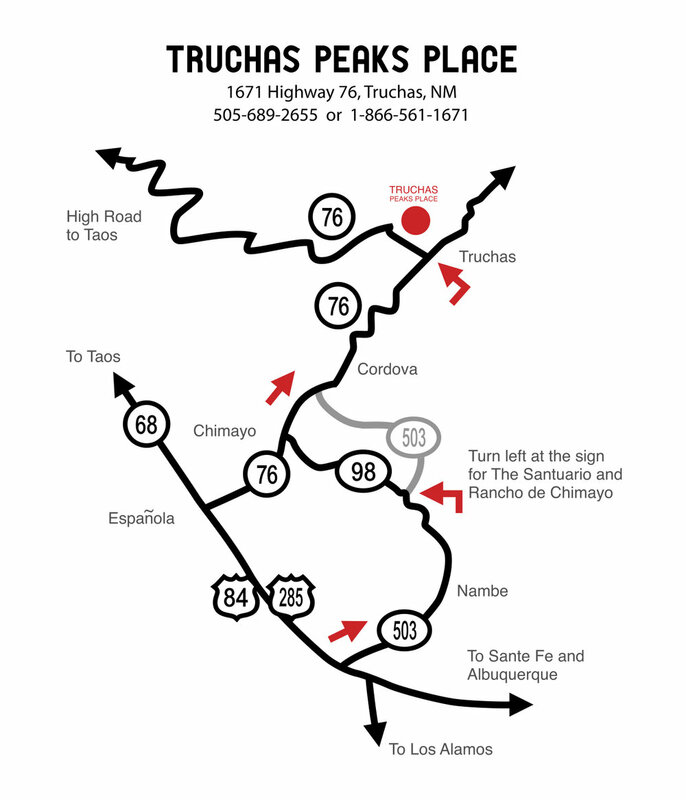 Turn right and continue 8.2 miles to Truchas. Take a 90-degree left turn toward Taos. Truchas Peaks Place is 2/10 mile on the right.